PepsiCo first Android Phone named as Pepsi P1 is spotted with 5 Inch fHD display and Octa Core SoC. PepsiCo are happy to throw their hands at as smartphone OEM as they have planned to come up with Pepsi P1 smartphone in China. 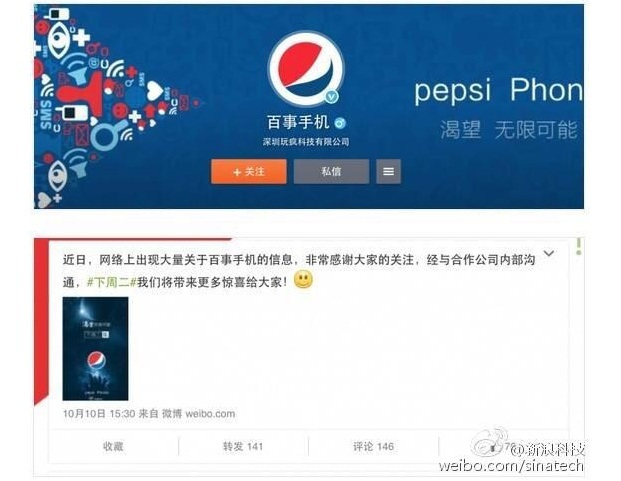 Well this is not the first time that Pepsi is connected to a smartphone as previously custom Opppo phone was launched. The Pepsi P1 specifications has been revealed by Mobile-Dad and the device sports 5 inch full HD display with a thickness of 7.7 mm, definitely not the thinnest phone. Its powered with Mediatek MT6592 Octa core processor clocked at 1.7 Ghz coupled with 2 Gigs of RAM, 16 GB internal memory and 13 MP primary camera and 5 mega pixel front facing snapper. 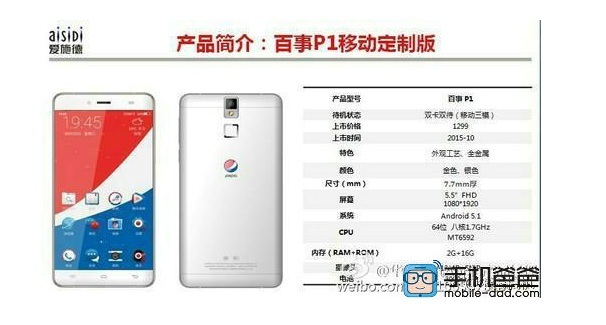 Pepsi P1 will be priced at 1299 RMB in China and possible launch on October 20.